The Parisi Linfa toilet suite combines a classically simple design aesthetic with outstanding performance features. 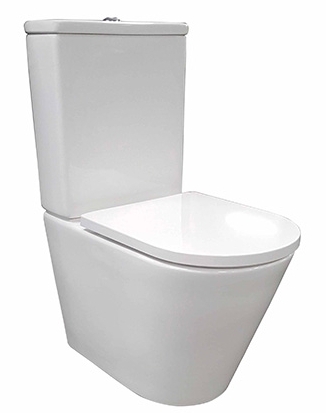 A compact, smooth sided wall faced suite complete with a slim soft close toilet seat. The Linfa comes standard with Parisi's Easy Clean ceramic glaze and Rimless technology, which ensures maximum cleaning of the inner bowl is achieved. Heavy grade, lift off, soft close Seat. UV resistant and anti bacterial. WELS rating: 4 Star, 3.3 litres per minute.